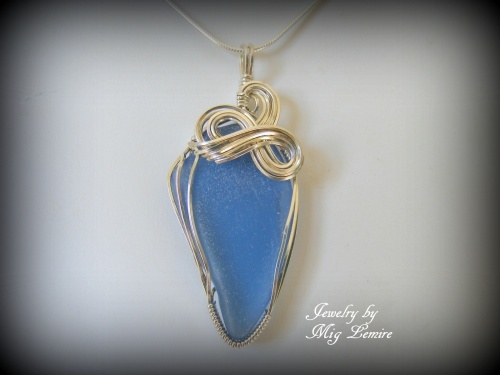 This beautiful authentic blue seaglass treasure was found on a local beach. Adorned with argentium silver curls and framework. Argentium silver doesn't tarnish as easily so it promises to bring you a nice shine without worry for a long time. Piece measures 2" from top of bail to bottom of pendant and 1" wide. Comes with a sterling silver snake chain.